A nice little read, I am sure I would have devoured these books when I was a kid! 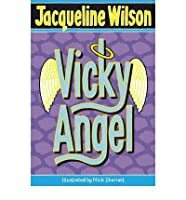 I have to admit that I scoffed at seeing 3 titles by Jacqueline Wilson on this list...really? Three? I haven't read the other two but having finished this one, I can see the appeal. Will definitely have my daughter read this; and I enjoyed it too.